What a month September was for Modern Finance Chain. Our dev team successfully released the MF2x protocol while making huge progress on MF Mainnet and the executive team held successful investor meetings in Dubai. October is sure to be just as exciting. We have a number of updates. First, let’s talk about the exciting happenings on the development of Modern Finance Chain. We are pleased to announce the addition of the following cryptocurrencies to the MFC Payment Solution. BNB, Monero and Decred are all being added as payment options within our ecosystem. We hope to have these added to the MVP soon, however based on the current roadmap it is possible that these will only be viewable once the full release is completed. As we expand our strategic partnerships, expect more cryptocurrencies to be added as payment options. Development for MF Mainnet is moving along nicely. The development team is expecting a roll out of testnet in the first weeks of December. If you are interested in helping us test an early release, please send and email to info@mfchain.com with your full name, a background on your development experience, linkedin profile and your github username. Finally, the investor meetings in Dubai. 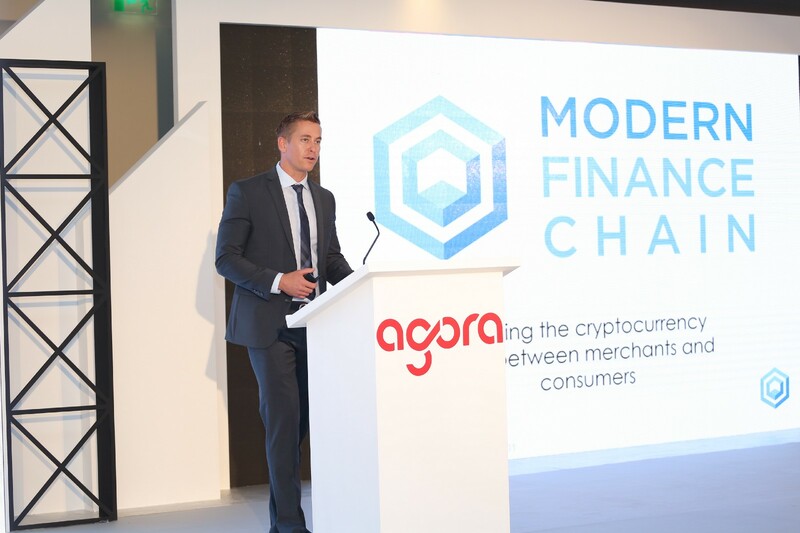 A big thank you goes out to the Agora Group for putting together one of the best investor meeting events we have participated in. Craig Neil, Jayson Rellis and Brian Rankin meet with nearly 25 interested groups and gaining verbal commitment for funding. Follow-up conversations are happening over the following weeks to allow for both sides to complete their due diligence process. MFChain strives to only partner with like minded groups and promises to take careful consideration to ensure the long-term success of our project. We will be posting photos from the event very soon. With less than 2 weeks before the start of our public token sale, we encourage everyone to review our masternode program. With the limited amount of time before pre-sale end, this is your opportunity to take advantage of the pre-sale bonus and the lowest ever cost of entry for the MF Mainnet Masternode. We would like to personally thank all of our supporters and look forward to a successful last quarter of the calendar year.